This post was published on the night of the riot downtown. Please scroll down to view updates and details that have been published throughout the days that followed. 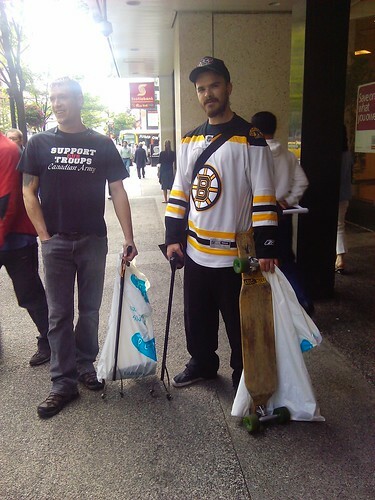 After the Vancouver Canucks lost their battle for the Stanley Cup to the Boston Bruins over 100,000 people downtown began their journey home. Unfortunately, many of those thousands stuck around to wreak havoc, engage in violent activity, start fires, loot stores, and harm others. Police read the riot act about two hours in and said whoever stayed downtown could get arrested however if you left, you could go home in peace. Unfortunately a mob of criminals (let’s not call them Canucks fans) has been making its way down Georgia Street. They smashed windows at The Bay, looted, and moved on to London Drugs at Granville, Chapters on Robson, and are now moving West. Throughout all of this despicable activity, cameras have been rolling. We’ve seen looters in plain sight on CBC News, CTV News, and Global. We’ve seen the faces of the men who lit the car fire on Hamilton. We have witnessed unruly men and women throwing newspaper boxes and walking out of stores with goods in-hand. All those of us at home can do is watch, and hopefully get the word out about transportation and alerts – for everyone’s safety. Upload photos of anyone committing criminal act to either this Tumblr account, this Facebook group, this Facebook page, on this website, or this page on Facebook. Tag, caption, and make notes of all photos. If you recognized anyone in the images, please identify them to help out the authorities. Update VPD are asking that you hold onto your footage until they are at the point of gathering evidence. Update VPD are asking the public to send images and footage to robbery@vpd.ca or call 604.717.2541. Update June 16 VPD have posted full information on how to get your footage over to them including an anonymous YouTube tipline. You can also get this information from the Vancouver Police on Facebook as their website is experiencing very high volumes of traffic. Update June 16 VPD said on Twitter that you can also always use Crime Stoppers to report a crime anonymously. Update June 17 VPD said that you can also text a tip ‘BCTIP’ to 274637. Even “#canucksriot” was trending on Twitter tonight. After Vancouver finally showed its beauty and grace on the world’s stage during the Olympics last year, this has bumped us back down a notch. We won’t wake up tomorrow and mourn the Canucks’ loss. We’ll mourn the loss of civility and order that was experienced on the streets tonight. Update 11:30pm For some perspective, this is happening blocks away from my house. 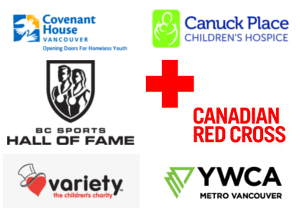 As a Canucks fan, resident of downtown Vancouver, and someone with a voice online, I’ll be sharing updates for as long as it takes to get through this. Update June 16 12:00am Please read the official statement from Vancouver’s Mayor Gregor Robertson (this was his second of the night) and this article from the Globe and Mail, which is why the more uplifting “#thisismyvancouver” was also trending on Twitter into the early hours of the morning. “Surveying the damage downtown. Dedicated crews working hard to clean up and fix windows”. Update June 16 Ed Lau also posted a plea on his blog, For Our City, For Our Canucks, End the Stupidity Now” and Steffani Cameron has published a fan’s poem. Kimli has also identified several of the rioters on her blog. Update June 16 8:00am I was on CanadaAM at 5:05am to talk about how people have rallied through social media and started organizing events for the morning to help clean up. As of about 8:00am June 16th several people had already started to assist with cleanup efforts after City crews worked through the night. Update June 16 11:20am The Vancouver Chief of Police is saying the riots were caused by anarchists and criminals disguised as Canucks fans. 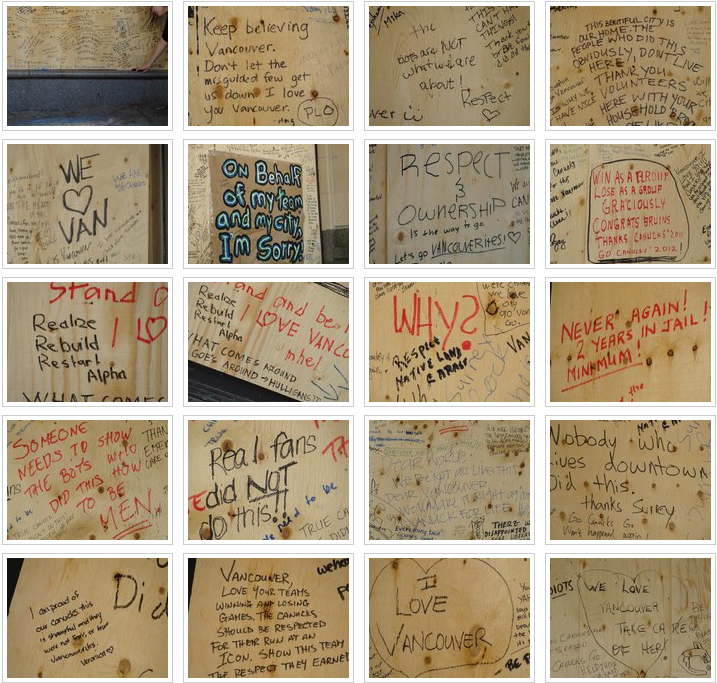 A collection of photos from the “Wall of Love” at the boarded up Bay downtown. The support from Vancouverites continues to pour in. There’s even a “Wall of Love” outside The Bay, which was smashed and looted. 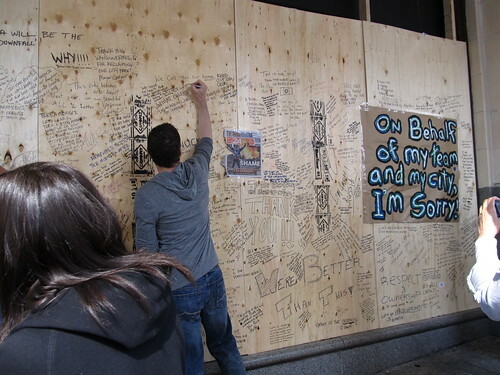 People are signing it and offering words of encouragement and sympathy… along with apologies. 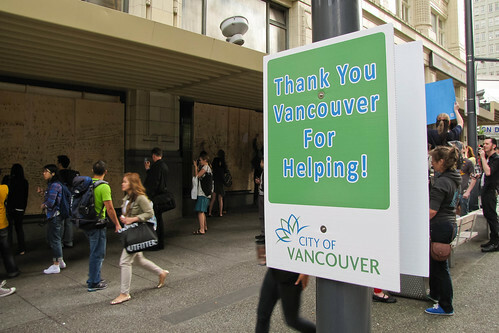 Update June 16, 2:00pm After scores of people came downtown to help clean up the aftermath, the City of Vancouver issued an official statement thanking them for their efforts. 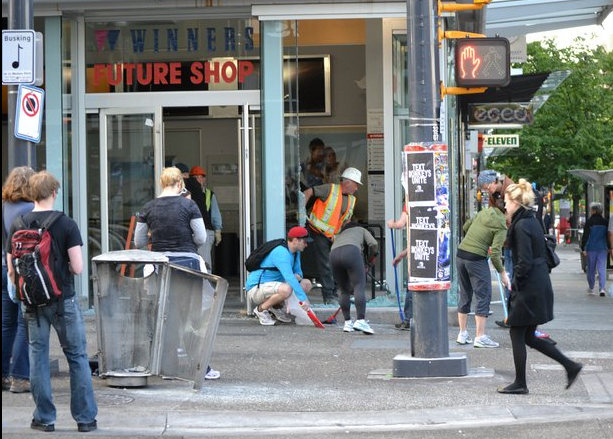 “The final sparkle to our clean-up effort has been thanks to the scores of volunteers who headed Downtown this morning with determination, garbage bags and other supplies to help with the clean-up. Those efforts are truly inspiring and appreciated. 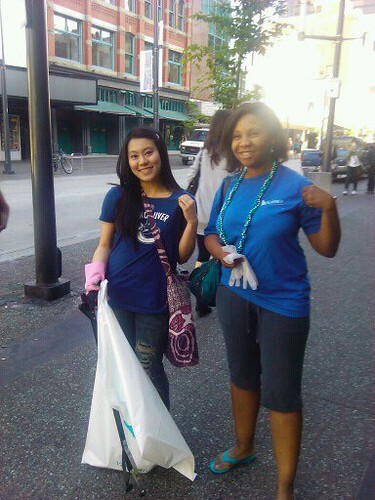 The city is certainly returning to normal very quickly.” The tag #vancouvercleanup was used all day on Twitter by volunteers who were picking up trash, scrubbing storefronts, leaving messages of support – and thanks. 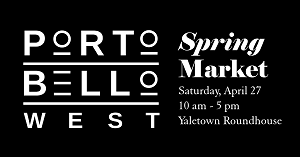 Update June 17 2:50pm It has come to my attention that The Bay downtown will be hosting a FREE pancake breakfast tomorrow, Saturday June 18 from 9:30am to 11:30am. They would like to thank the volunteers and helpful citizens who showed them support after the store was a prime target during the riot Wednesday night. I confirmed with my source at The Bay that this will be taking place and they wanted to get the word out through grassroots channels — the same way word spread about the cleanup. A few people have asked on Twitter if they can volunteer for the breakfast. My contact told me that the associates would like to do it for the community but if they need assistance they’ll put out a call. Update June 18 11:00am The CBC has tracked down the couple from the famous “kissing couple” photo during the riots to get the real story behind the image. Update August 2011 The Vancouver Police have published a website where they are asking the public to help identify riot suspects. 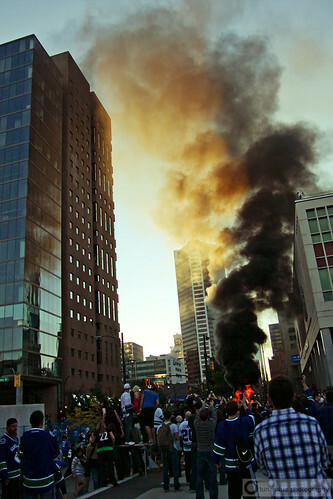 Update September 1, 2011 The independent review of the riot has been released. In total agreement, criminals thugs bullies cowards not fans. It is great you are doing something for the rest of us who are ashamed and feel helpless. I hope their parents are watching, I hope their parents are making phone calls. Your call to action takes us from helpless to making a difference. Thank you. I say let’s tag them, and one day when they are looking for a job and their future employer googles their names, this is what they will see! Sad day for this city. A day that began with such excitement and promise, comes to this…. Trashing their own town – What a joke – talk about poor sportsmanship and not being about to lose gracefully! In theory, this seems like a good idea…until you realize that when you post a picture on Facebook it shows the FULL NAME of the poster as registered on your Facebook account. So while you’ve just done something to try and help catch a “hooligan”, you’ve also just put yourself at risk because said “hooligan” can have access to your full name. I really hate to say it but the police did an abysmal job today. Not prepared at all for what happened. So many pictures of them just standing around doing nothing and then beating up on a single rioter when there is 4 or more of them. Perhaps they should consider submitting photos to a generic email and have the admin upload them up into the Facebook group. I am completely and utterly incensed by this display of shameless hooliganism. I completely agree with Natalie. It is a dark day for this city. Punks like these ruin things for the rest of us – police and govt. officials might use this as an excuse for more security cameras downtown, more restrictive laws/policies re. public gatherings and events, limits on otherwise law-abiding citizens, etc. Welcome back “No Fun City”. So, that photo is a pic of Canadians “Owning the Podium”(TM)? So in other words Alecia is stating do the cowards thing and keep your mouth shut..Really classy…I hope that people have more balls than that and speak up… People only get away with stuff like this cause it is not reported, cause ppl like Alecia do not have the guts to speak up…Step up….do not be an aLECIA!! As A Canadian who resided in various provinces in Canada, and who visits VANCOUVER often, I AM TRULY SADDENED by this DISPLAY of CRIMINAL ACTIVITIES by a bunch of MORONS who have no RESPECT or REGARD for properties, businesses, people safety. This will leave a huge repair bill, let alone the blackened mark on this city, province for years to come. I Sincerely hope that everyone of these people are caught and punished to the fullest extent of the law. and I hope what has gone around will come around to each of these idiots. One day they will be TAXPAYERS in all FORMS, Income tax, Sales Tax, Property Tax and they just might get as pissed off as I am about all this unnecessary damage, which will end up costing all of us for years to come in the form of higher taxes and prices for everything. TO THE PARENTS of these CRIMINALS, You should be ashamed of your offspring. PLEASE REPORT and HAVE THEM HELD ACCOUNTABLE FOR THEIR ACTIONS. Otherwise they will only get worse as they get older. I APPLAUD the POLICE, FIRE, AMBULANCE, NEWS REPORTERS who had to do their job in a dangerous situation. I thank you for risking your life for the lives of others. So the VPD started another one did they? Let me guess. They opened fire on a crowd of people that would probably have gone home if asked. Then made it impossible for them to go home by shutting down transit. Then acted like crooks in the treatment of people that most likely are innoncent of any crime and are just looking for a way to get home. I have nothing nice to say about the VPD tonight. This is almost certainly their fault. All Canadians should be embarrassed. This is not how we act.Canada and its citizens are above this nonsense. I just hope those who do the crime do the time. Not just a slap on the wrists. Brave stand writing this and appearing on television. Kudos. Just saw you on Canada AM. 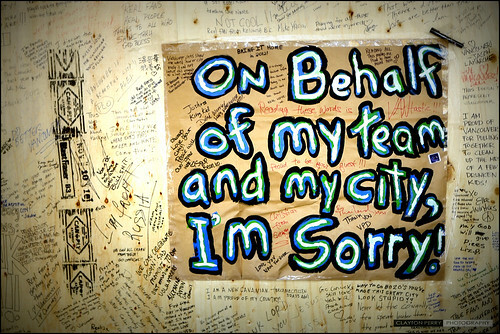 So sorry for the people of Vancouver. Love your city! So sad to see streets I have walked while visiting trashed. This is not the Vancouver I know. Headline article over here in Australia http://www.smh.com.au/sport/violence-in-vancouver-after-canucks-lose-stanley-cup-final-20110616-1g5fd.html On BBC and NY Times too. These guys make Vancouver and hockey look bad. Really disappointing to see in one of my favourite cities. Why does the news media need to continually broadcast the actiions of some in Van. Please give the videos and photos to the police. Don’t give them the joy of seeing themselves! I saw the riots covered on CNN. When the world sees this, they see us as a bunch of sore loser and vandals. I, also was very happy to see your interview on the AM news this morning! Glad to see you speaking out for those of us who abhor that type of behavior. And great effort on your part to make things right! What is wrong with our police? These morons, most of whom may not even live here, but in the ‘burbs’ and most of whom are young males ( as usual ) cannot be allowed ever again to act out their pathetic warrior impulses to the detriment and damage to our wonderful city. Poor preparation VPD!! Arrest as many as can be identified, and make them pay pay pay $. The booing was the obvious start to something much more embarassing and damaging. Such poor poor sportsmanship. No question, I was disapointed to see the Canucks lose last night but I was horrified to watch on TV the riots and rioters who tore through Vancouver and destroyed for destructions sake and none other. Perhaps some 17-19 year old boys (can’t call them men because REAL men would not behaive so badly)could explain why they would participate in these criminal acts. I am shocked, embarassed and saddened that these people are our future. I hope every parent that suspects their son and/or daughter was there and participated, confiscates their child’s cell phone and camera and turns them over to the police, along with a list of all their children’s friends. If they don’t, they are just as guilty as their hooligan children. And I can’t believe that “Michal” thinks the police did nothing and were ineffective. I watched for hours and it seemed to me that they were incredibly patient and methodical in their approach to the riots. What would he have them do? Run over everyone with tanks? Shoot everyone and ask questions later? It’s a thankless job they have and lack of support by people makes it that much worse. Thank you Vancouver PD for staying calm under pressure!!!! You showed true class. I am so sorry you guys in Vancouver had this embarassing occurance in your city. I can be certain that other than a few actual attendees of the game, the actual rioters were some of the usual anarchists that, like opportunistic leeches, mixed in with the crowd spurring the more aggressive people to acts thjey normally wouldn’t have done. I looked over the photo galleries, and a lot of the people involved in damage and looting looked more like street people and members of the lunatic fringe, ranger than the blue shirted, Canuck fans……Vancouver is a great, kind and civilized city, and this group of losers who climbed up from your underbelly does NOT represent the city the you and I know and love!!! Hope the Rioters are all caught, and they are prosecuted to the full extend of the law. If millions of dollars are spent encouraging young men to drink beer, and hockey games are a key vehicle for this, and this happens for 364 1/2 days a year- are we surprised with last night? To get different results look at causes not symptoms. Regulate alcohol advertising. I can’t believe someone would be blaming the police for starting the riot where are these peoples heads I have to agree with the gentleman before me they showed a lot of restraint, I don’t know how they did it when people were in there face like that. I sure hope some are brought to justice and should be given the maximin penalty. Don’t these people relies that apart from all the injured we as tax payers ( them included) if any of them work, have to pay for all this. I don’t live in Vancouver but I love that beautiful city and we had a similar riot a few years ago in Kelowna where we live and we closed down the Regatta for a number of years. Wish I could be there to help with the cleanup. I am appalled at all the damage done to Vancouver. I’ve lived there for many years and am saddened by a few who have no regard to other people’s property. I am also saddened by the bystanders who just stood there and didn’t help the police in some way. I think the police did a terrific job under the circumstances and need to be commended. Those that have caused all this havoc need to make restitution for their actions. One way would be to garnish their wages until the damage is paid for. This is a response to Mark- what a bloody stupid thing to say. 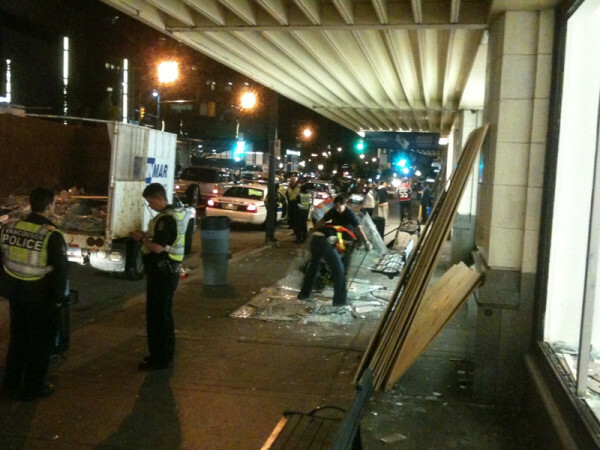 The VPD did what they could to control the crowd of absolute idiots. You obviously didn’t watch from your balcony as these morons destroyed your building and neighbourhood. You didn’t watch helplessly as someone was stabbed and left laying on your street. These people weren’t trying to get out of town, they were all being violent, shameless f***s. I’m absolutely ashamed of this city and blaming the police shows what a complete moron you are. I was in support the Vancouver Canucks throughout the playoffs even when they played my hometown team, Nashville. I’ve have continuously talked positively of Vancouver for the past six years from the time I left that beautiful city. Today I can just shrug when everyone asks me if I really want to go back to Vancouver… Everything I talked about Vancouver is now suspect. Everything I said about Vancouver is erased due to this riot over a HOCKEY TEAM. Vancouver as a city does not deserve a good team in the Canucks. Nashville CHEERED their Predators when they lost their run against the Canucks. What did Vancouver do? The owner is a spoiled brat, the fans (regardless of percentage) are sore losers, and the area has lost its title as lotus land in my mind. Right now I have no desire to go back, whereas yesterday I was looking into flights. 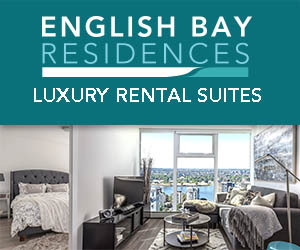 This really shows the character of Vancouver. It makes me sad to see a place I love turn to this type of behavior. To those of you that are saying the vpd is responsible for the riot. Come ON…can you not stomach the idea that maybe some Canadians are stupid enough to trash their own town? It’s the sad truth. You can’t blame the police for everything, though you are apparently trying. As someone who watched the riots from start to finish I can tell you that the crowd began trashing things and setting cars on fire before the majority of the police were even in the area. And of COURSE they didn’t do anything except “beat on” a couple rioters here and there. Can you say “law suit”? Oh and those rioters they did “beat on” were the ones aggressively getting into the police’s face, sometimes even trying to attack them. Seriously, give your head a shake. Please people, if you know anyone who was in the riots come forward and report them! Thank you Rebecca! I am very proud that you are involved with this. Alecia is just making sure SHE does not wind up getting punched in the face for being a rat!! I have NO PROBLEM being a rat…ANONYMOUSLY. If these people have no problem beating people up and torching cars IN FRONT of police…do you think they’re going to have a problem COMING TO YOUR HOUSE IN THE MIDDLE OF THE NIGHT?? I just believe there should (and will) be a better way to get these photos out for people to identify. This is not the way. Rather than people posting, an email address should be set up so people can send in photos to be uploaded by an administrator. Keeping the public safe. This is more the result of not having self-respect for oneself and abusing our rights because of the inability of enforcing responsibilities attached to each right. A balance of fearing consequences really needs to reintroduced via parenting and all levels of government and judicial systems. Consequences to our actions is so out of balance that we as a society need to stop thinking with our hearts and begin to think with our heads so that safety can be felt when attending events of any kind. Before it gets worse, lets remember why it is we have the freedom we enjoy and be responsible with it. The City has done an impressive job of organizing, managing, and last night, protecting activities around the games. 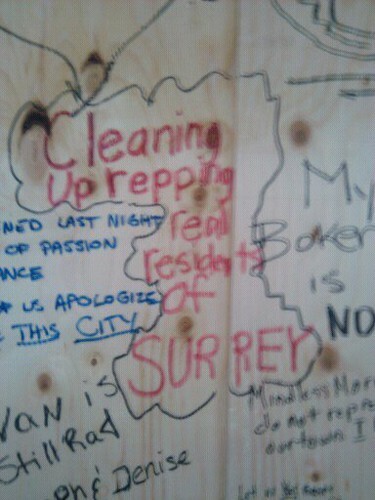 Up until last night all game nights where peaceful gatherings, proud representations of Vancouver. How does that miss the spotlight? I’d like to see media not take sides and tell the whole story. Sure last night there where rogue rioters. Please don’t label them as Vancouverites or Canuck fans. We all know better. They don’t represent any of them. We’ve seen them stir trouble during the Olympics and the G8 meetings last year. Call them what they are – troublemakers. And please don’t give them the limelight they so desire. I hope the media focuses their attention on the positives of last night- the people protect their city and citizens, the VPD doing and incredibly wonderful job of crowd control, some disheartened fans, the sanitation and restoration crew that worked through the night- the true spirit of this city. I hope true Canuck fans come together and do something to show the world that this wasn’t about them or the game. And I hope the people from in and around, who love this city, show their love and support by pulling together and turning this around into an example of community and encouragement. Restoring and rebuilding what some ungrateful visitors did. I do hope they don’t go easy on the people responsible for all this. My hats off to the City of Vancouver and the VPD!!! The police were clearly outnumbered and likely did not act because there were just too many people out of control. Many officers were even bought in from other municipalities. I heard the police repeatedly advise people to leave the area and go home but they were entirely ignored. The police even warned people that tear gas and mounted officers would make their presence soon but people still ignored them. Many were acting like it was a huge party and cheered the vandals. Others posed in front of the destruction for photos and even the police officers themselves. In the more active areas, police in riot gear were taunted and had objects thrown at them. With regards to the police, they did nothing to incite the rioters. But they were definitely way outnumbered to be able to enforce control until more police showed up. And even then, communication between officers working together from other municipalities was unorganized creating some confusion between them. The people who arrived downtown and did all this were there to riot no matter who won the hockey game. They had no interest in it. Having been don there for every game in this series, I noticed a much different crowd attending than the more peaceful ones from previous occasions. The police did their best to disperse the crowds and warned them multiple times before they escalated their efforts with flashbang grenades, mounted police and tear gas. I totally agree with Michelle. Well said. I was downtown and I only felt unsafe when coming across a drunk or 2 or 3 or 4. The police in my opinion did a great job at protecting public safety. (property maybe not so much). 90% of the people who got tear gassed were spectators to vandilism or egging on the crowd. If you wanted out of the riot you got out, EASY. Vancouver is a safe city, and I felt as as at ease as after the after a Symphony of Fire. I’m deeply sorry that the beautiful town that I came to love during the winter Olympics was so sadly and badly damaged. I hope all true Vancouverites and their glorious city will recover from this injury of place and pride. Please stick together and support each other and stand tall against this type of hooliganism. Good luck to you all. Just a note please. We are a wonderful country, a peaceful country and Vancouver is one of the most beautiful cities in the world. You cannot and should not, judge a community by a bunch of losers who would have rioted regardless of the outcome. We don’t even know if some of these people are even Canadians. These people leave a negative mark on society. You cannot be an upstanding citizen and behave in this manner. I am sorry that the world had to see the darkest side of Vancouver. 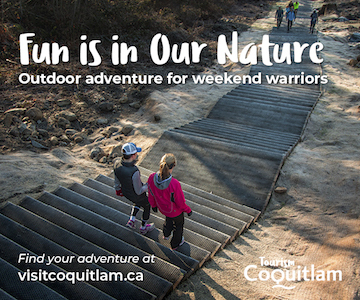 We love our city, we love our province and we love our country. I don’t think the world should be so narrow minded as to “clump” the rest of us with the low lifes that did this! Yesterday morning, the NY Times asked if there would be riots after the game as their lead sports story instead of the game. The answer came back that post-Olympics, Vancouver is a more mature city than it was in 1994. I found the fans were gracious to Thomas when he won the Smyth Trophy and I hoped for better. Whether the hockey rioting happens in Vancouver or Montreal or Flin Flon, it besmirches the good name of Canada. This must never happen again. We end up looking like poor losers, (emphasis on losers). I was brought to tears many times last year by the wonderful showmanship and beauty of Vancouver during the Winter Olympics. I was never so proud to be a Canadian. I could not believe my eyes this morning when I turned on Canada AM as I do every morning to see some of my fellow Canadians destroying that image. You should all be ashamed of yourselves. We have soldiers risking their lives to stop things like this and you made Vancouver a war zone. Why do the few have to ruin things for so many others. Your hockey team will never live this down and they came so far, you should have celebrated them and their hard work. I AM TOTALLY DISGUSTED. Good for you Rebecca. Just a couple of things: this had nothing to do with losing the Cup. There were a determined group in the crowds last night, ready for a riot no matter what. Have no illusion, this was planned. And by a relatively small group of people. As for leaving the crowd – I know a number of people who were able to get out quickly and safely. If you were still down there by 10 (or even ealier) you wanted to be. And if you chose to be, you deserve whatever you got. And Mark. Ah Mark. Tell you what, we’ll put you in a situation where you are outnumbered 5 to 1, where the group against you are fueled with alcohol and drugs and some are carrying concealed weapons. We’ll whip them up into a gang mentality frenzy and you can go and stop them. Off you go, shouldn’t be too hard surely. 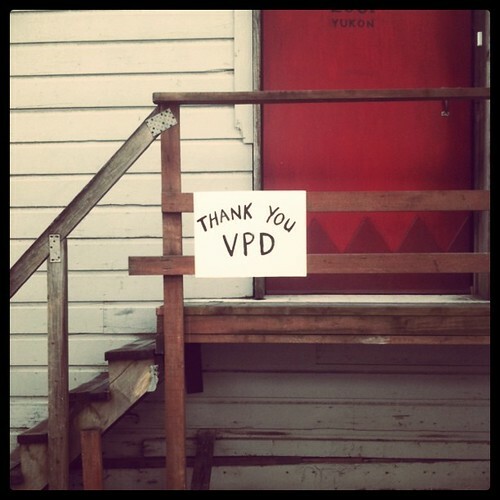 As for myself, thanks VPD – a crappy, volitile situation that resulted in injuries, but not deaths. In no little part thanks to you. Hello and thank you for what you are doing. I saw you on Canada am yesterday and was so glad to see you and so many others like yourself doing what ever you can after these so called people did what they did. I now live back in my home province of ontario but I lived in the lower main land for some 20 years. To me Vancouver is home and I miss the place dearly. I hope they catch each and everyone of these people and the have to pay full restitution for all the damage they cause. Again thank you and keep up the good work. His name is Danny and he is the son of a very good friend of ours. He was the young man who fell off the Georgia Street Viaduct. He is in critical condition with a fractured skull, brain bleed, 3 broken ribs, broken nose, broken orbital bone and has few teeth left. The rumours are not true: Danny was not involved in the mayhem, he was trying to escape it; he was not thrown, he fell; he was not wearing a Boston Jersey, he’s a Canucks fan; he made an error in judgment and fell. He fell onto an awning first which broke the 36 foot fall onto his head. Please keep him in your thoughts and prayers. He may still require brain surgery. He’s not out of the woods yet. His parents are keeping vigil at his bedside. Please keep Danny and his family in your thoughts and prayers. Please send them positive healing energy. They need all the help they can get right now. I don’t understand why people think the police did such a great job!! Not only do they need to be accountable for allowing the cramming of 100,000+ people on Georgia, beyond capacity (total danger if there was a fire or panic creating a human stampede) As soon as that first car fire started, they should have swooped in and put an end to that RIGHT AWAY! That car fire was left unattended for too long and it emblazoned and emboldened the punks and the crowds to feel more powerful to do more and more damage! They were allowed to stand around and see noone was coming to stop them for way too long. The cops were too freaking nice, they are not paid to be nice, they are paid to do whatever is necessary to stop violence from escalating and to PROTECT the public. Why the hell did so many innocent people have to defend our businesses from getting trashed downtown? Too many incidents were left to escalate and the police should have took more control. The people were completely out of control because the police were too freaking complacent and there were not enough of them around at the epicentre! Anticipate this VPD, you’re supposed to protect the people and the city! And this crap about these people are criminals/anarchists that planned this out…these were YOUNG fool punks (probably mostly underage with no priors)that were drinking out of control, idiots that don’t know about repercussions and they were not monitored properly! I agree. The cops not only let things get out of hand, they didnt even get involved when people were getting attacked till long after the situations were out of hand. There is video of a man at the Canada Post building getting taken down by a mob for protecting a truck, it took the cops 27 seconds to come in & break it up from the time I saw the mob attack him. 20+ people on the guy, the cops didnt do anything for 27 seconds. Its not like they were too far away, it was right at ground zero & tonnes of cops were around there. Why did it get to this point?? Because the cops didnt bother to go over & disperse a crowd that was around a truck yelling in unisyn “burn the truck”…. this went on for 230+ seconds before the attack on the civilian happened. How incompetent can a police force be that they, with police gear, couldnt diffuse the situation BEFORE someone got beaten down & bloodied?? Then theres the case of the girls fighting off the mob outside of The Bay before the vandals eventually were able to torch a BMW car that the 2 or 3 late teens-early 20s girls valiantly tried to defend against a mob. Again, just off of Georgia where 100s of cops were around. NOT EVEN ONE of them came over to help, let alone do anything to prevent these girls from having to fend for themselves in the middle of a mob. I am sure theres countless other situations like this that will come to light sooner or later. Before anyone dares criticize me for being too harsh on the cops. These people are PAID to do this job. It is THEM we are to look for assistance from when there is a problem, and they as a group sat there and did NOTHING for 3+ hours, until the crowd had thinned out… and to top it off, they want US to do their jobs for them….AFTER THE FACT by sending in pics & vids. Laziness. canadagraphs what qualifies you to make judgements about the quality of riot control tactics used by the VPD? Please don’t say common sense because mob psychology doesn’t run on common sense. I will say common sense. Yes, mobs run on adrenalin & alcohol. But at the end of the day, doing nothing will not resolve the issue. Doing something, making examples out of people will deter SOME of the problem, will minimize the problem. Will make it easier to deal with the rest of the problem. Doing NOTHING only allows the problem to fuel out of control. it is common sense. Sorry you dont like the reply. But its fact. Do nothing- nothing gets done. Do SOMETHING – and the problem either goes away OR is minimized. I was sad to see this unfolding on TV after the game. Too bad a few people have to spoil things for everyone else. I was happy to hear so many good stories on the news today about brave people who tried to stop it from going on. The Police and Fire department were very brave and I applaud their bravery in a time of such chaos. There’s been so much focus on identifying the thugs, but have any of the brave people that stood up to the rioters been named and thanked? Some of the followers of the violence were fans……. “For those about to riot, we salut you.” however no serious injury, no theft and looting. A riot is a riot and those who loot and hurt others give a bad name to honourable rioters. What we witness after the Stanley cup was a riot gone bad because of looter and police brutality. Rioting is noble if done properly and for a good reason. Bravo,well done canada for showing the world what is canada and its citizens are all about. I may be so called from a third world counrty.We have riots too but they are mostly politicaly or religiously motivated .Not based on sports.The other ugly site of canadians is when browsing the city next morning there were some true young probably some foriegn students were helping cleaning the streets but right in front of this youngsters canadian postal workers were picketing right out the GPO.How ugly is that?Arent they suppose to be an example to our younger generation?WHERE IS YOUR PATRIOTISM.If i were you i would have taken a break from that selfish strike and have tried my best or contibute my time to clean the shame which we braught upon ourselfs.Big ugly shame on you canadian postees. First day it was riot the next day it was all about tourist attraction and media publicity.Dont know why people are so addicted to camera ,fame and publicity?Go write on plywoods pose for cameras and pretend nothing happen.My one and only question to all canadians is this.Why canadians have to drink(ALCOHOL) for everything. Well afetr all we are still not civilized.I guess. I moved to Vancouver from Ontario 25 years ago. Back East I had been an avid hockey and football fan and looked forwarded to becoming a fan of the Vancouver teams. However, in less than 6 months of living here, I became acutely aware of the bad sportsmanship of the Vancouver fans. I found their behaviour hideous – spitting on the opposing team etc. etc. I arrived at the time Doug Flutie had just left the Lions to join the Stampeder team. There were songs played repeatedly on the local radio stations about Doug, calling him a traitor, etc… I determined at that time that I would NEVER be a Vancouver supporter. I remember calling a friend of mine in Ontario telling him he would never believe the demeanor of the fans here. We were used to the read necks back in Hamilton and Toronto, but they were nothing compared with the read neck Vancouver fans. I came here expecting to find a refined, cultural atmosphere. Instead I found an attitude of “entitlement” simply “because this is Vancouver”!!! They want what they want, and woe betide the rest of the world if they don’t get it. I left Vancouver and moved to Victoria 10 years ago. I miss the beautiful city, but not the attitude. Hi, I really liked your post on here about helping after the riots. Would you like to guest blog for us at “Why I Love Vancouver”, http://www.whyilovevancouver.ca? 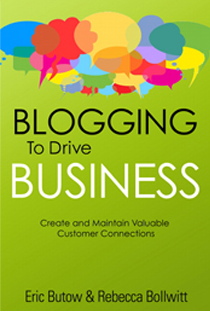 Would love your input on how we can promote this blog further. RIOT done by police here is the smoking gun. A designer melee. Playing you statists like a fiddle.